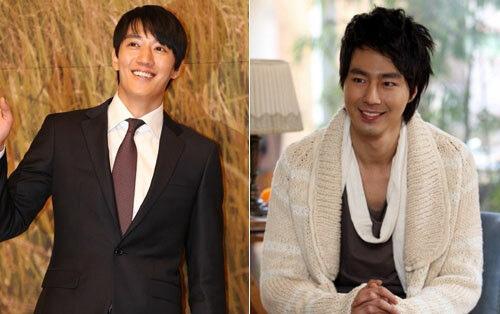 The two superstars who made a comeback in 2011 after discharging from military, Jo In Sung and Kim Rae Won, have personally tasted the power of consequence of blank period while in the army. They starts the entertainment activities after discharging from military with great expectation, but the response has been very poor, greatly disappointing. Jo In Sung who discharged in May 2011 has not joined any work in more than six months, and is in a loss period. Although when he had just discharged, he accepted a blockbuster movie “Punch” (권법) which has investment of more than 10 billion Korean won (about USD $8.8 million), but the future of the movie to start shooting for real is uncertain. Although has the ace in box office in Jo In Sung, but because of huge production costs, the film is still has Zhaoyin Cheng ace the box office, but because of the huge production funds, the film is still running into snags at every turn. CJ E&M movie department was originally the main investor and planned to start filming the movie at end of October of 2011, but eventually it ran aground temporarily. In this way, the rest time of Jo In Sung accidentally becomes longer, he who was busy with rejecting invitations to act in dramas and movies from many companies when just discharged can only gaze at each other in speechless dismay now. The situation of Kim Rae Won who discharged on August 2011 is somewhat different from Jo In Sung. He accepted the SBS TV series A Thousand Days’ Promise just after been discharged, but the response of the viewers is unexpectedly cold. At the time when the lead actress Soo Ae is winning critical acclaims, Kim Rae Woo at a loss due to doubt on his acting. Before joining the army, his fresh and domineering acting was much-loved, but after joining the army, his image has became of an “uncle”, unable to capture the hearts of female viewers. A person related to a production company revealed that Kim Rae Won used to say that “did not stand in front of the camera for too long, a little bit can’t find the feeling,” expressing the agony for the gap due to service in the military. In addition, the external incident has also brought negative impact to Kim Rae Won. Recently, after the news of him receiving up to KRW $50,000,000 (about USD $44,4000) a episode renumeration, the appraisal of viewers towards him turns even more negative. In addition, prior to this, at the end of September 2011, he was also involved in a nightclub violate incident, brought a big stain to his originally clean image. Let’s not mention whether the violent incident is true or not, but why should the solidarity conference of the broker agency must be held at a nightclub, and why had to quarrel with waitress? Merely these undeniable facts have already greatly reduced his image.